AVIATION - IT’S IN OUR DNA - conference week is now less than five weeks away and the programmes are progressively emerging click here. We’re clearly very committed to the “One Industry” story and we’re now focusing on making the plane fly faster and safer than ever before. Conference week is designed around industry issues – it’s an opportunity to learn, engage and network. Last year’s was a roaring success and we promise this year’s will be even better. In all, we have well over 100 speakers, capped off by Richard de Crespeny click here, speaking at the AIA awards dinner. Richard is an incredibly interesting speaker, who started his career on the dark side as a Helicopter pilot and then joining the fixed wing ranks, ending up in a big fixed wing with some pretty big problems!!!! Speaking of Helicopters and big fixed wing aircraft, expressions of interest for the Air New Zealand “Black Boeing” to Los Vegas are now close to 60 click here. House of travel advised us that the pricing plan will be available very soon for booking. We’ll have connecting flights from throughout Australasia to the charter flight. Remember, friends and family as well as those who are just plain “rotor heads” can join the flight. Plans for a major trade initiative at HAI are also progressing well, with six New Zealand-based companies committed to the project. HAI in Los Vegas is the global show for helicopters, so if you’re into that sector, being there is a must…. Reaching agreement on ZK Operations overseas for prolonged periods is central to the growth thrust. Gone is the previously imposed six month requirement to return to New Zealand or operate on foreign AOC click here. CAA also agrees that they will be transparent with their travel and accommodation administrative requirements. This will give operators certainty around CAA costs. The ZK Operations debate highlighted the differences over the definition of “crew member”. CAA says that our rules state that everyone on board, except the pilot, CO or instructor/supervisor, are passengers. Such an interpretation has already been recognized as wrong for Ag Ops. However, now CAR 137 is not proceeding, the issue comes back onto the table. For many operators, of course, the disagreement was never “off the table,” instead CAA had chosen not to enforce its interpretation, except in selected instances. “Red boots” would like to engage Matt Muir to provide a definitive legal opinion on the issue but there’s the matter of cost and we’d appreciate some financial support on this to start to get the issue resolved. All up we think it will cost around $10k. Expressions of Support to admin1@aia.org.nz. Defining the term “crew members” has major implications for all sectors. CAA’s request for a legal opinion is being interpreted as a pathway towards sensible resolution. We also had discussions with the CEO of Airways on Milford Airport – the situation there is getting untenable, in terms of pricing, for all parties – if you know of anyone wanting to purchase the Airport, we suspect MOT may be up for it. Our risk review of the ZK basin is about avoiding a potential train wreck. It’s fairly clear that any change to operations, such as reclassification of airspace, has major implications for all parties from both a safety and economic perspective. We’d like to think that issues of this nature are resolved in an open and transparent way, using best risk management practice. The “boots” view of this is that dealing with it behind closed doors will inevitably lead to a train wreck. The ”One Industry” Governance Board met this week discussing a number of red flag issues, as well as the next steps which include the election of a permanent Board. The most prominent “red flag” issue is the looming shortages of skills in our critical engineering and pilot sectors. Interestingly, the Department of Labour accepts that there is a skills shortage but the Ministry of Education doesn’t. Aside from highlighting a major inconsistency in the government policy environment, concern was expressed over the need to look very intensively at a New Zealand solution to this issue. Critical to that solution is a survey currently out in the market that is being conducted by ATTTO. click here .Approximately 13% of you have responded, but we really need to get a much higher uptake. The TV One news item last Friday night resulted in one pilot coming to us directly and saying he was unemployed. So this week we’re hitting Facebook, Twitter and PPRUNE, trying to elicit more details on the market. 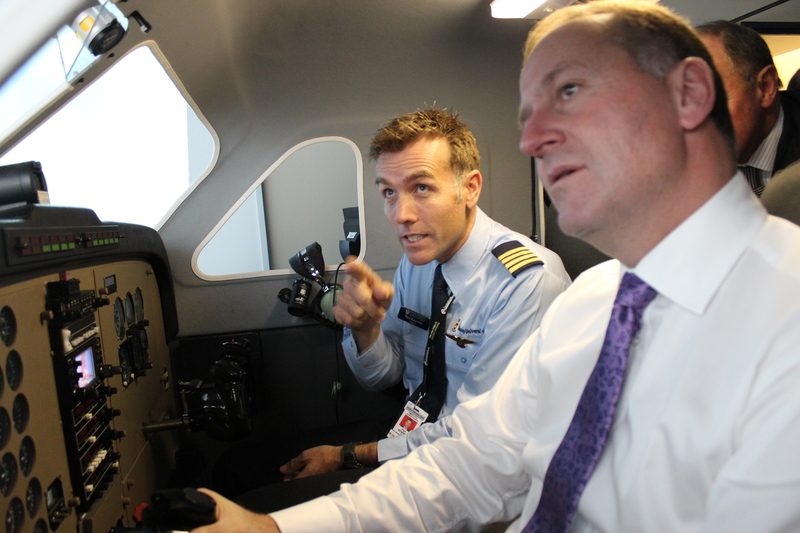 One of our major workshops at conference will be streamlining the New Zealand pilot qualifications. It’s now clear that we’re out of line with comparable jurisdictions in course content and requirements. This is simply making us internationally uncompetitive. We are told the proposed amendments to the PPL syllabus impose a whole heap of additional costs on that basic level of training. All of this is at a time when we have massive global training opportunities as long as we stay competitive. It’s about getting other organizations that will be adversely impacted by any shortages engaged in the debate. 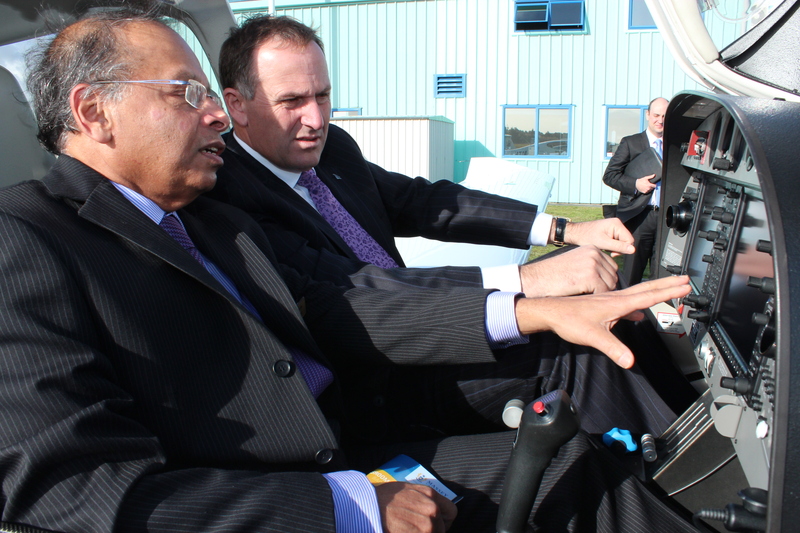 Massey University School of Aviation hosted the PM recently (click here,here, here and here) and we’re going to start talking to Federated Farmers, who have been quite open and public about the difficulty of getting enough aerial work completed. Tuesday night saw “the boots” at an parliamentary function organized by an airport association, where one of the more interesting comments was “government’s really got the timing of the economic cycle wrong when it comes to turning off skills training support for the aviation industry”. Another interesting point was that the Airports are also very understanding of the aviation growth agenda. They have always been a keen supporter of tourism but now they are realizing that aviation itself is a major driver, particularly the impact of having strong nationally based airlines and commercial general aviation operators. Yesterday we attended the New Zealand Aviation Federation meeting, who are our partner shareholders in the AQSPEQ group. This group is looking at major global expansion opportunities, particularly in Asia, co-joint with CAA International UK. ASPEQ are also affirming the major down-turn in pilot training of New Zealand nationals. View the Conference Brochure here or download a pdf version. This will be updated regularly so make sure you check the latest version.